There are over 1,000 activities on the a4esl.org website to help you study English as a Second Language. Browse our database of 16,801 free printable worksheets and lesson plans for teaching English. No matter if you teach kids or adults, beginners or advanced students – BusyTeacher will save you hours in preparation time. No registration required. Teaching ESL children can be extremely rewarding, and all kinds of fun, but having an interesting and effective curriculum is all important. The Internet’s Meeting Place for ESL/EFL Students and Teachers from Around the World. 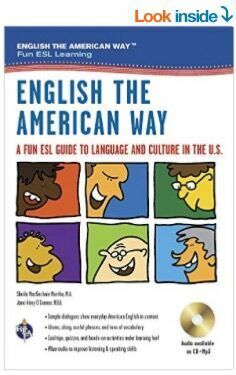 Our ESL author experts (Sheila MacKechnie Murtha and Jane Airey O’Connor) give English language learners must-know vocabulary, commonly used phrases, wacky idioms, and sample dialogues that illustrate everyday American life. You’ll have fun along the way as you improve your English language and grammar skills with sentence completions, quizzes, and helpful tips. Learners of English will find all types of interactive tests and exercises here. EnglishLearner.com also offers English lessons by e-mail at three levels every week – completely free. Some of the trickier points of English, such as the order of adjectives. For advanced students. Learn4good.com. ESL games, songs and ideas to make your ESL lessons better. A variety of games that helps students understand the meaning behind phrases specific to the American culture. In the news, for work, with music or through sport. A great way to begin to learn a foreign language is through online games! Worksheets for Middle School EAL (English as an Additional Language) and I.B. English A2/B classes. Practical, ready-to-use materials by a working teacher. Helps ESL students quickly find the best places on the Internet to practice real English! You’ll find about 300 fun and interesting websites in 34 different categories. Fifth Edition. Over 90,000 entries feature 10,000 new words and senses, 70,000 audio word pronunciations, 900 full-page color illustrations, language notes and word-root appendixes. Here are some of the main differences in vocabulary between British and American English. This page is intended as a guide only.